Bonny Eagle Fall Ball registrations have begun. Registration closes at the end of August, and the season begins the first week of September. The Fall Ball league is for players who wish to continue playing baseball in the off-season. All Bonny Eagle Little Leagues are welcome to register. For more information and to register, visit standishll.org. Saint Joseph’s College will host farm-to-table dinners at the Stone Barn Thursday, Aug. 16, and Thursday, Aug. 23. The six-course meals will be prepared with locally sourced, sustainable ingredients by Chefs Mary Paine and Richard Fields. The Aug. 16 meal will feature dishes pork-inspired dishes and the Aug. 23 dinner will be lobster themed. Tickets are $100 per person plus an 8 percent meal tax. Tickets cover dinner, drinks and gratuity. For more information or tickets, go to stonebarnmaine.com/farm-dinners or call 893-6693. An Active Senior Citizens of Standish lunch will be held at the Municipal Center Wednesday, Aug. 22. The meeting will begin at 11 a.m. with entertainment or an educational topic and lunch will be served at noon. All seniors from the Standish community are welcome. Reservations must be made before Thursday, Aug. 16. To make a reservation, contact Donna Grovo at 675-3302. 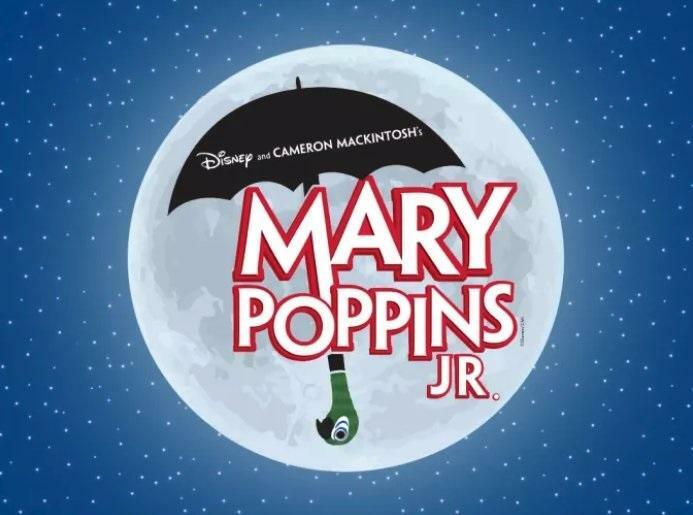 Performances of “Mary Poppins Jr.” will be held Aug. 17-19 at Schoolhouse Arts Center, 16 Richville Road. Shows will be at 7 p.m. Aug. 17, 2 p.m. and 7 p.m. Aug. 18 and 2 p.m. Aug. 19. Tickets are $10 for adults, $8 for students and seniors, and $5 for children under 5. For more information and to purchase tickets, visit schoolhousearts.org. Before- and after-school programs for children in grades K-5 who attend Edna Libby, Steep Falls and George E. Jack schools will begin Aug. 29. The before-school program will run Mondays-Fridays from 7-8:30 a.m., and the after-school program will run Mondays-Fridays 3-6 p.m.
For more information and to register, visit standishrec.com/info/activities. “Mary Poppins Jr.” will be performed Aug. 17-19 at Schoolhouse Arts Center.